Can Plants grow without Soil ? What do you think…can we grow plants without soil. If it is possible then farmers would be able to grow more food in less space. We could then grow plants on terrace and building tops and that also without mess. Truth is researchers have discovered hundreds of years ago that the function of soil is simply to hold mineral nutrients close to plant roots and soil in itself isn’t necessary for plant growth. What they need is only water and nutrients. Great….So it is really possible to grow plants without soil….lets understand how to do that, so that we all could grow plants on our terrace and balconies. Heard of Film Farming, Hydroponics, Aquaponics, Aeroponics….Truth is these farming method take up less water and provide us with much more healthier version of fruits and vegetables process as it eliminates weeds, bacteria and soil-borne pests. Also you can grow them year round…..! Hydroponics is the technique of growing plants in soil-less condition with their roots immersed in nutrient solution. They grow with or without the use of an artificial medium like sand, gravel, vermiculite, rockwool, perlite, peatmoss, coir, or sawdust. 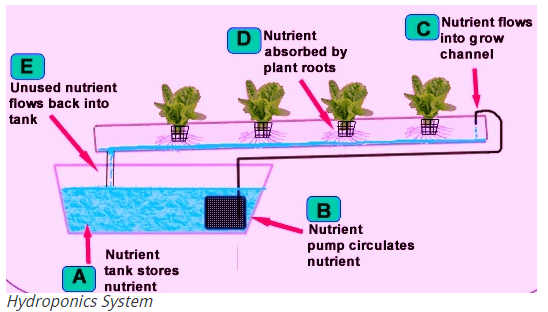 Compared to growing plants in soil, Hydroponic growing allows to control the nutrient levels for plants directly. 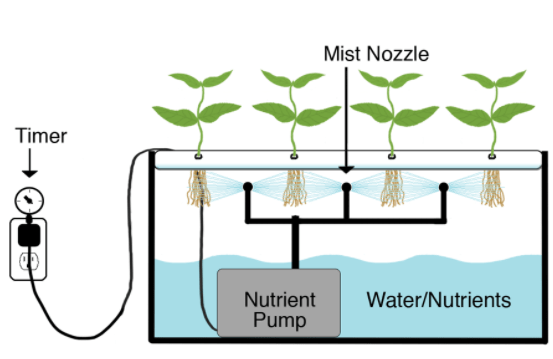 Because of the higher control over nutrients, hydroponically grown plants generally have a much higher yield than similar plants grown in soil. This method is good to grow lettuce, tomato, bell pepper. Vegetables that grow beneath the soil, such as onions, leeks, carrots, potatoes, yams and radishes will also grow very well hydroponically. 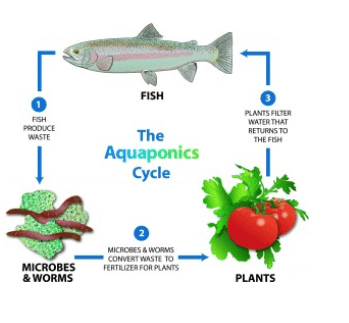 Aquaponics is all about growing Fishes and Plants together. The fish waste provides an organic food source for the plants, and the plants naturally filter the water for the fish. So what essentially need to be done….Feed the Fish! One can set up an Aquaponic system anywhere; outside, in a greenhouse, in basement, or in living room. The fish used includes tilapia and barramundi because they tolerate better diverse water conditions and they grow fast. Aquaponics is suitable to grow small vegetables like Lettuce, kale, watercress, mint, herbs, radishes and spinach. Aeroponics is another indoor plantation system. In this plants are suspended in air with roots hanging and they are regularly nourished by spraying with nutrients and water solution. Because the roots are enclosed, less nutrient-water mix is needed for plants to grow and thrive. Aeroponics is a great way to save space as one can grow them either horizontally or vertically. It is suitable to grow fruits, vegetables and herbs in apartments. Film farming is the brainchild of Yuichi Mori from Japan, the chemical physicist who founded Mebiol in 1995. Polymer film is key to this farming. The film is made up of hydrogel – a super absorbent material commonly seen in disposable diapers. This material absorbs into it all water and plants grow on its surface. Roots spread out on top of it in a fan like shape. Hydrogel film reduces water requirement by 90 percent and fertilizer needed by 80 percent. There is no wonder to see this method getting lot of acceptance Arab countries. It is good to grow cherry tomatoes, lettuce, cucumbers and melons. The world’s population is expected to grow to an estimated 8 billion people by 2025 and 9 billion by 2050. We need to adopt new way of farming like those enlisted above to satisfy the anticipated food demand. The next era of farming would be technology driven. Farmers toiling away in hot sun will be replaced by engineers and experts wearing gloves and masks working indoors.